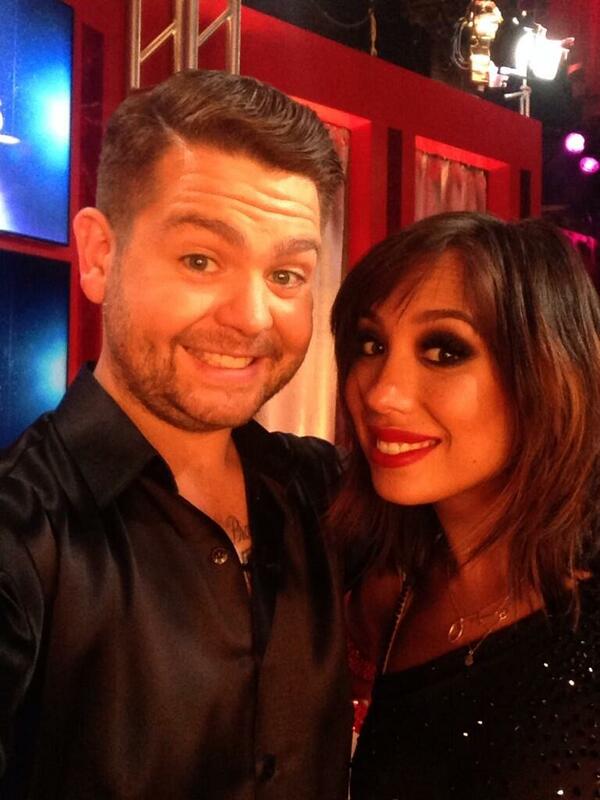 The next episode of Dancing with the Stars Season 17 was Latin Night. I’ve heard people complaining it wasn’t Latin enough. What did you think? We’re back with the list of music for week 2 of DWTS 17. If you missed the past music, you can always check out our full list of Dancing with the Stars music throughout the season. That page will update each week as we post the music. Well, we’re off to a great start with Elizabeth and Val, I think. Followed by Mark and Christina with a strong Paso Doble. All this unnatural gushing has me a bit worried, though. That, combined with the front loading of the show with great dancers. Hmmmm….what do you all think they are up to? I think Amber will get hammered and I think Bill Nye will get crucified. The former for “drama” the latter because they mistakenly believe that’s how to get rid of him. Nope. Dudes. ETA2: the Jeopardy Couples were: Elizabeth and Val, Bill and Emma, and Keyshawn and Sharna. Not necessarily the bottom two, the couple going home is Keyshawn and Sharna!! Who thinks Elizabeth isn’t getting the votes she should be?? 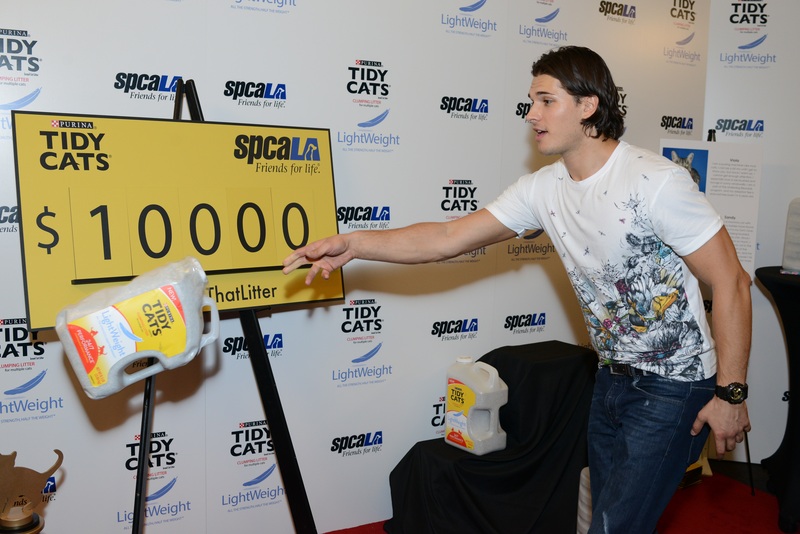 This past weekend, Gleb Savchenko stopped by the Tidy Cats Light Weight Litter Toss at the W Hotel in Hollywood, California to prove that the new Tidy Cats Light Weight 24/7 Performance is so light, you can toss it. Each toss helped to trigger a $100 donation to the spcaLA Animal Welfare Organization, which Tidy Cats will donate up to $10,000. The Litter Toss was also a part of the GBK Gift Lounge in honor of the 2013 Emmy Awards. You can download some fun photos of Gleb at this event at Cone Communications. Getty Images also has a few pictures! Go Gleb and thanks to Alison for sending!! Corbin Bleu talked with Ryan Seacrest this morning! He talked about the great week he had last week. Tonight he has the JIVE which he said was “a learning curve”. Next week he has the Quickstep next week which is “really out of his zone”. The ballroom framework is a challenge. He also talks of his crush on Bill Nye! I think Ryan might have a crush on Bill more than Corbin. lol More below…. 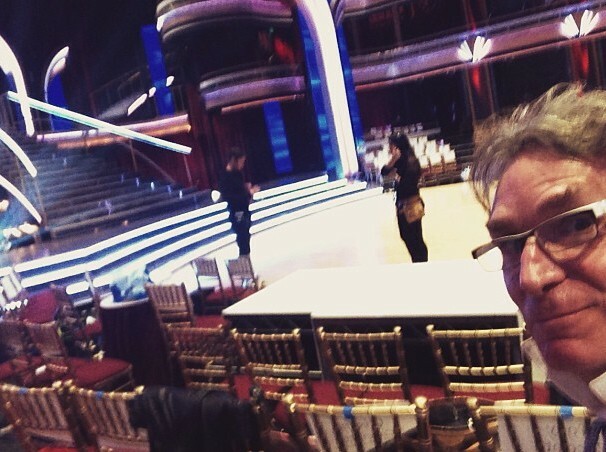 Can Bill Nye Make a Scientific Comeback On Dancing With The Stars Tonight? Thanks to MathMovesU You Tube for dissecting it to see? As previously reported, Dancing With The Stars Derek Hough won an Emmy last night for “Best Choreography”. Right before the Choreography Award was given out, he helped to choreograph and danced in a big “Luck Be A Lady/Get Lucky” production number right before it. 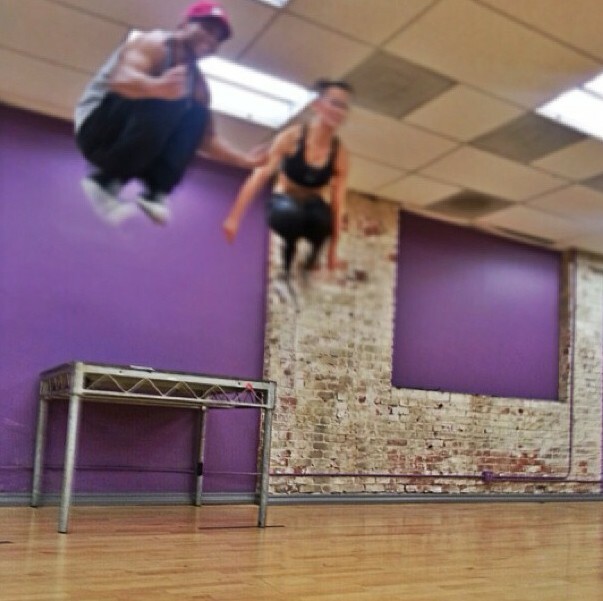 Above you can see him pictured with Allison Holker. If you missed it, Pure Derek Hough has a video posted of it. It was spectacular to say the least and made the other performances of the night look mild in comparison. Also, some of the other cast members of Dancing With The Stars were seen walking the Red Carpet and in the audience supporting Derek. Below you can see photos of Brooke Burke-Charvet and Carrie Ann Inaba. What do you think of these dresses? Bruno Tonioli was also seen. He even had tears in his eyes when they announced Derek had won. So cute! Derek’s friend and former Dancing With The Stars partner Maria Menounos graced the red carpet. Before the show began she was tweeting her support for Derek. I just had to post this picture being I think Maria was the best Dressed Woman of the night!! Zimbio Pictures and Pure Derek Hough.